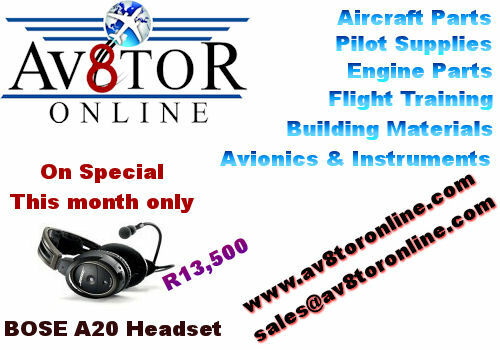 2 December: EAA Chapter 322 monthly meeting, Dickie Fritz Moth Hall Edenvale. Contact editor@afskies.co.za The meeting at the usual venue, the Dickie Fritz MOTH Hall in Dickie Fritz Street Dowerglen, Edenvale will take place at 19h00 on Wednesday 02 December. Visitors are always welcome and to enjoy the jolly hangar talk and meet the vibrant EAA community, so bring some pals along. The guest speaker will be Maj Gen Des Barker (SAAF Ret. MSETP). 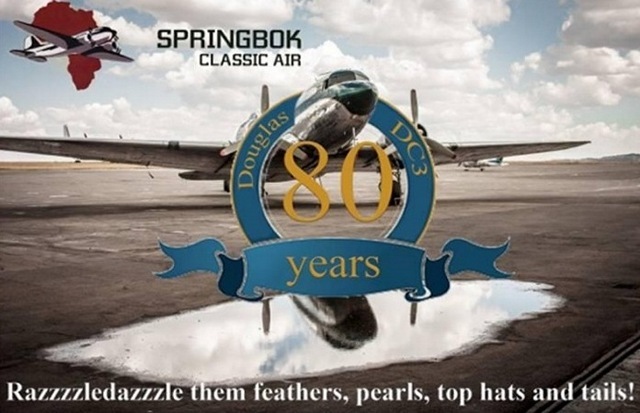 General Barker who is an excellent speaker on aviation matters will speak on his experience as the Test Pilot on Werner Heimel's Focke Wulf/Piaggio 149D that had its engine changed from a 275 bhp Lycoming to a 720 shp Walter turboprop. Now that can only be an exciting upgrade for a Navion look alike to a rocket ship that will make your eyes open wide! It is the only one of its kind in the world. December 2 1986 - An Air France Concorde returns to Paris after an 18-day around the world trip with 94 passengers. December 2 1943 - First Canadian-built Mosquito aircraft saw action over Berlin with RAF 139 Squadron. December 3 2004 - The 500th Boeing 777 is rolled out. The 777 will reach 500 airplanes delivered faster than any other twin-aisle airplane in history. December 3 1945 - A Mk5 Sea Vampire became the first jet aircraft to take off and land from an aircraft carrier, HMS Ocean. December 3 1910 - The first multiple fatality airplane accident in history happened at Centocelle, near Rome, when Lt. Enrico Cammarota and Private S. Castellani became the 26th and 27th people to die in a plane crash. December 4 1984 - Kuwait Airways Flight 221, flying from Kuwait City to Karachi, Pakistan, is hijacked by four Lebanese men and diverted to Tehran. Four hostages are killed and dumped on the tarmac, and the remaining passengers, especially Americans, are tortured every 5 min. Iranians eventually raid the aircraft and rescue all, but the hijackers were later released. December 4 1894 - German meteorologist Arthur Berson climbs up with a balloon to 9,155 metres (30,036 ft). December 5 1961 - A U. S. Navy McDonnell F4 H-1 Phantom II sets a sustained altitude record of 66,443.8 feet (20,252.1 m). December 5 1921 - The first regular air services in Australia commence, with West Australian Airways. December 5 1909 - George Taylor becomes the first person to fly a heavier-than-air craft in Australia, in a glider he designed. On the same day Florence Taylor becomes the first woman in Australia to fly a heavier-than-air craft, in the glider designed by her husband. December 6 1989 - The prototype of the Boeing MH-47E Chinook special operations helicopter rolls out. December 7 1995 - The Galileo spacecraft arrives at Jupiter, just more than six years after it was launched by Space Shuttle Atlantis during Mission STS-34. December 7 1987 - Pacific Southwest Airlines Flight 1771, a BAe 146, is hijacked and deliberately crashed near Cayucos, California, by a disgruntled airline employee. All 43 people on board, including the hijacker, are killed. December 7 1941 - The Imperial Japanese Navy makes a devastatingly successful surprise attack on the US Navy fleet at Pearl Harbor. Six aircraft carriers launched a total of nearly 400 warplanes which claimed five US battleships and ten other vessels, and damaged three other battleships. The US declares war on Japan. December 8 1964 - A United Lines Caravelle makes the first landing in the USA completely controlled by computer (automatic touchdown). Pakistan, Mianwali: A Pakistani F-7 on a routine operational training missing crashed near the central town of Mianwali. Both of the plane's pilots were able to leave the aircraft, which then crashed near the central town of Mianwali. According to the Pakistan Air Force Ms Mukhtiar died from her injuries, while the jet's second pilot, Saqib Abbasi is reportedly in intensive care. Marium Mukhtia is the first female pilot of the Pakistan air force to be killed while on duty. UK, Heathrow: A British Airways co-pilot suffered burnt retinas after a "military-strength" laser was shone into the cockpit of his plane during a landing at Heathrow airport. The incident caused the most serious injury ever inflicted upon a pilot in the UK during a laser attack. The west London hub had 48 attacks in the first six months of the year and some 168 incidents were recorded in 2014. Afganistan, Mazar-I-Sharif: A Moldovan registered civil Mi-17 transport helicopter based in Mazar-I-Sharif operated by Aircraft Charter Solutions, UAE on behalf of a United States Government providing civil airlift support for Afghan National Security Forces was shot down killing 3 on board. A mayday was broadcast before it went down. Three on board were killed whilst the remaining were captured by militants. Kyrgyzstan, Osh: A Boeing 737-300 operated by Avia Traffic Company sustained substantial damage in a runway excursion accident at Osh Airport (OSS), Kyrgyzstan. The flight originated from Krasnoyarsk Airport (KJA), Russia for Osh. Because of poor visibility at Osh it diverted to Bishkek where it landed. After improvement of visibility at Osh the aircraft continued to its destination where upon landing the aircraft reportedly suffered a runway excursion. The left hand main landing gear and no.1 engine broke off. US, New Mexico: A U.S. Air Force F-16 crashed in New Mexico during a routine training mission in a remote, rugged area northwest of Salinas Peak, near the city of Truth or Consequences. The pilot was able to eject safely and was found by an emergency response team and was taken to a local medical facility for evaluation. Russia, Krasnoyarsk: Ten people including three crew members on board a Mi-8 helicopter died when the aircraft crashed in the Krasnoyarsk region in Siberia . The passengers were employees of Russia's state oil company Rosneft. The civilian helicopter was carrying 26 workers to an oil production site at Vankor, an oilfield belonging to Rosneft. USA, Salt Lake City: A 61 year old man was arrested after checking into Southwest Airlines Flight 1760 from Salt Lake City to Oakland using a stolen boarding pass. He made it through airport security and got as far as the flight check-in gate, where the boarding pass was approved. Airport officials were alerted by the woman whose pass he had stolen and confronted him. Regulations regarding user fees for the provision of aviation services have been updated in terms of the Civil Aviation Regulations, Part 187 of the Regulations, and published in the Government Gazette No. R 1025, 30 October 2015, No 39339. Herewith an extraction of fees that applies to functions relating to RAASA's activities, this will take effect 01 December 2015. All documents posted or still to be submitted to the RAASA office before 01 December 2015 will be granted a grace period of 30 days. 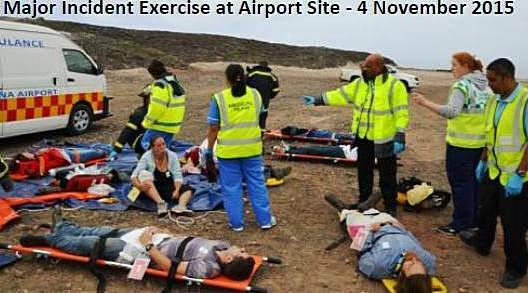 The first phase of the audits for certification of St Helena Airport took place during the week of 2 November 2015. A remote audit was conducted by the regulator, Air Safety Support International (ASSI), in the form of a desktop exercise to assess compliance with safety aspects of the Overseas Territories Aviation Requirements (OTARs). Alongside this, Principal Inspector of Rescue & Firefighting at the UK Civil Aviation Authority, Owen Healey, visited the Island to audit the Airport Rescue & Fire Fighting Services and to verify all aspects of emergency planning. Thanks are extended to all participants in the emergency exercises which were a critical part of the audit. Following an intense and challenging round of audits, feedback has now been received from ASSI. As expected, there are corrective actions to be taken prior to the next round of audits for Airport certification in January 2016. SHG welcomes the constructive feedback from ASSI and is hard at work addressing the issues arising - to prepare for the second phase of audits. The next phase in January 2016 will focus on quality management, safety, security and air traffic control systems. 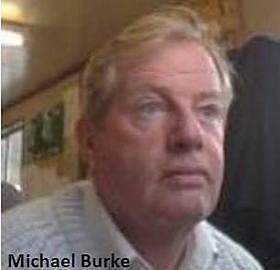 Fuel Management Contracts Manager, Michael Burke, is visiting the Island from 21 to 29 November 2015. Michael has recently succeeded Philip Bloomfield as FM Contracts Manager for Penspen Ltd. Michael is professionally qualified in construction, electronic and electrical engineering and has a wealth of experience in Projects and Facility Management. During Michael's stay on-Island he will hold meetings with the Air Access Office, Basil Read, PMU, Solomon & Company and SHG, as well as make various site visits. Michael is joined on his visit by Denis Rainbow from Flightline Support Services who will be carrying out vehicle commissioning and function testing of the recently arrived fleet of road tankers. On 18 November 2015 the two aircraft refuelling vehicles were moved from temporary storage in Rupert's Valley to St Helena Airport. This was in preparation for Flightline Support Services' visit to the Island to carry out commissioning from 21-29 November 2015. The remaining three tankers will be moved from Rupert's during this commissioning phase. The move gave Solomon's staff the chance to drive the new road tankers along the Access Road for the first time, accompanied by the Basil Read Health and Safety Teams. The final Boeing [NYSE: BA] C-17 Globemaster III military airlifter at the company's plant in Long Beach, Calif. departed on Sunday, Nov. 29, marking the official end of aircraft production in Long Beach. The airlifter flew over a crowd and the facility before heading to the company's San Antonio location, where it will remain until delivery to the Qatar Emiri Air Force early in 2016. "This is truly the end of an era. It's a sad day, but one that all of the Boeing employees and suppliers who have worked over the years building this great aircraft can be proud of," said Nan Bouchard, vice president and C-17 program manager. "Our team's work and dedication and professionalism created one of the world's leading airlifters, a plane that is at the forefront for providing humanitarian aid and has changed the way the U.S. Air Force and our international partners mobilize for operations and aeromedical support," Bouchard said. Photo � Airbus Defence and Space. An Airbus C295W aircraft belonging to the Mexican Navy (SEMAR) and operated by a mixed crew from Airbus Defence and Space and SEMAR has carried out demonstration flights in El Alto, La Paz, Bolivia, one of the airports with the most extreme hot and high conditions in the world. 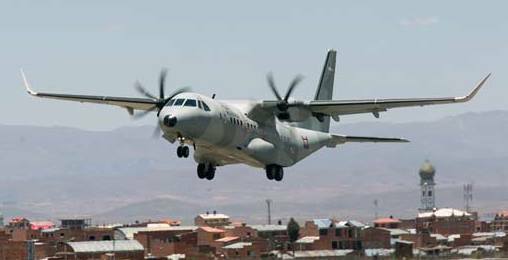 The C295W, which landed at El Alto International Airport, more than 4,000m above sea level, on Tuesday, has also performed flights to the Cochabamba base and the unprepared runway of San Borja. "The highly successful demonstration by the C295W in Bolivia this week underlines again its excellent performance in hot and high conditions, which is key for several countries in the Region. It demonstrates once more the C295W's status as the most efficient aircraft in its category", said Christophe Roux, Head of Airbus Defence and Space in Latin America. The aircraft's tour of the region will include stops in several countries of the Region before returning to Mexico in early December. 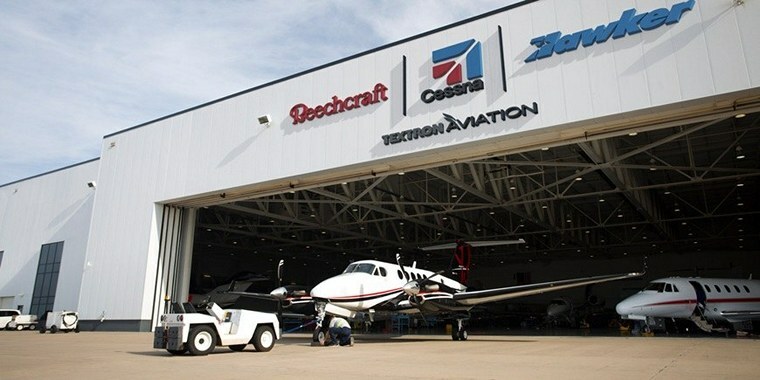 Beechcraft Corporation, a subsidiary of Textron Aviation Inc., a Textron Inc. (NYSE:TXT) company, today announced at the NBAA's Business Aviation Convention and Exhibition it has received type certification from the Federal Aviation Administration (FAA) for the new Pro Line Fusion-equipped Beechcraft King Air 350i/ER turboprop. Deliveries are scheduled to begin before the end of the year. Pro Line Fusion-equipped King Air 350i and King Air 250 turboprops are making their NBAA debuts at Textron Aviation's static display this week at the Henderson Executive Airport. "Our product roadmap is focused on satisfying our operators' requirements, and making Pro Line Fusion standard on our production King Airs is in direct response to customer feedback," said Christi Tannahill, senior vice president, Turboprop Aircraft and Interior Design. "Offering the latest technology in the cockpit and cabin has resulted in great market reaction; our owners and operators clearly appreciate that these new features improve the overall flight experience and value of the King Air." Deliveries of the Fusion-equipped King Air 250 are expected to begin before the end of the year. 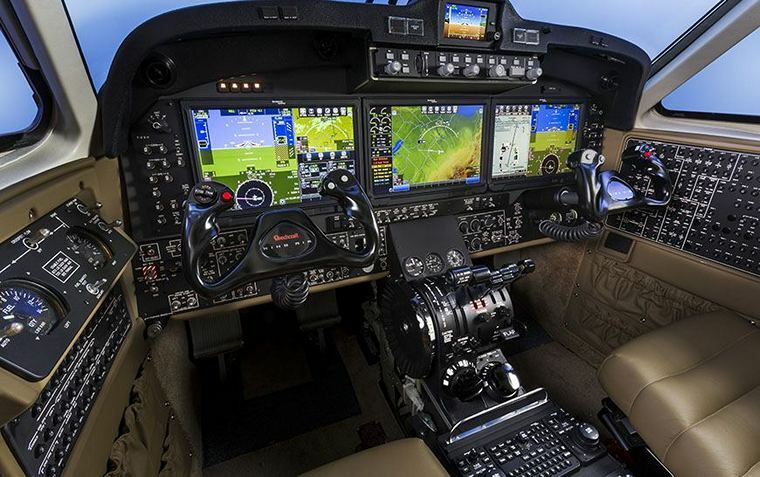 Certification for the Pro Line Fusion-equipped King Air C90GTx is expected in the first half of 2016. Lancair announced that, beginning with Evolution aircraft kits ordered after July 18, 2015, the Evolution Airframe Kit will include a Ballistic Recovery Parachute System by BRS Aerospace. This recovery system is specifically designed for aircraft in the weight and performance class of the Evolution and will be included as standard equipment for the Evolution. As an option, it may be deleted for those that do not wish to avail themselves of this exciting and precedent setting development for the Single Engine Turboprop class of aircraft. The system, known by Lancair as Evolution Emergency Airframe Parachute System EEAPS , will provide that extra level of safety for a pilot and his passengers should they come to realize that the pilot is incapacitated or the aircraft is severely damaged, uncontrollable, or otherwise incapable of further flight. The BRS system has proven to be a life saver in various situations with 324 documented lives saved to date, during flights that would have otherwise ended tragically. The Evolution, as originally conceived was to include this system but, until recently, the required parachute had not been available. Lancair welcomes BRS Aerospace recent ASTM qualification of a new and innovative parachute system with state of the art technology that allows installation on aircraft in the weight class of the Lancair Evolution with significantly less weight and volume than previous systems currently in the market. As a result, Lancair and BRS Aerospace teamed together their 35 years of safety in aviation to develop a joint project aimed at designing a state of the art integration of the system into the Evolution airframe. Lancair is proud to be affiliated with BRS and their extraordinary lifesaving technology. With a 300 Kt speed and a 28,000 ft max operating altitude, the four place pressurized Evolution Aircraft is the epitome of the owner-built high performance aircraft concept that was pioneered by Lance Neibauer in 1986. The Lancair history of high performance, cutting edge construction techniques, and the adoption of the latest in avionics technology was never more apparent than in this exciting aircraft. Lancair's core competency lies in carbon composite construction and aerodynamic efficiency, and when this is coupled with the power and reliability of the Pratt & Whitney PT-6 turboprop engine, what emerges is an aircraft that is simply unmatched in the certified world. But certification has its place, of course, and Lancair recognizes that. Therefore, whenever possible Lancair has observed and incorporated the engineering principles and requirements of certification to ensure a safe and airworthy aircraft for the owner-builder. Lancair uses the FAA's Part 23, Utility Category as guidance in airframe design criteria for strength, redundancy, handling, safety and ergonomics whenever possible. The key-challenge of space transportation is the reduction in launch cost. Production is one of the main cost drivers due to the very low manufacturing numbers of stages and engines. Without a new market application for space technology no improvement is to be expected. DLR has developed a vision which ultimately has the potential to enable sustainable, low-cost space transportation to orbit. The number of launches per year should be strongly raised and hence manufacturing and operating cost of launcher hardware should dramatically shrink. The obvious challenge of the vision is to identify the very application creating this new, large-size market. Intercontinental airline traffic is a huge and mature market. Since the termination of Concorde operation, intercontinental travel is restricted to low-speed, subsonic, elongated multi-hour flight. Launcher technologies could be very attractive for long distances (> 9000 km) by allowing significantly reduced flight times. 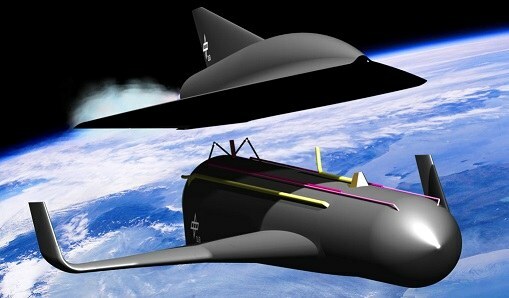 A new kind of high-speed transport based on a two-stage Reusable Launch Vehicle (RLV) has been proposed by DLR under the name SpaceLiner. Ultra long-haul distances like Europe - Australia could be flown in 90 minutes. Another interesting intercontinental route between Europe and North-West America could be reduced to flight times of slightly more than one hour. Such rocket-based, ultra-fast transportation far in excess of supersonic and even potential hypersonic airplanes is a fundamental new application for launch vehicles. Even in the case that only a very small portion of the upper business-travel segment could be tapped by the SpaceLiner, production rates of RLVs and their rocket engines could increase hundredfold which is out of reach for all other known earth-orbit space transportation system concepts. The fast, intercontinental travel application of space technology would not only attract the business- and leisure market, would, as a byproduct, also enable to considerably reduce the cost of space transportation to orbit. S�o Jos� dos Campos - SP, November 30, 2015 - Embraer delivered today, in a ceremony held at the Company's headquarters, in S�o Jos� dos Campos, the 1,200th aircraft of the E-Jets family. The commemorative aircraft, an E195 model, was received by Azul Linhas A�reas Brasileiras S.A., a Brazilian airline, which operates the largest fleet of this jet type in the world. "It's a joy to share such an important moment of the E-Jets program with our friends at Azul," said Paulo Cesar Silva, President & CEO, Embraer Commercial Aviation. "Just as the E-Jets have been key to Azul's growth and consolidation, the airline was instrumental in popularizing the E-Jets with Brazilian passengers, who have discovered a new way to fly, with live TV and without the middle seat, among other innovations. Together, both companies elevated the standards of efficiency and comfort in Brazilian aviation. The celebration of this E-Jet delivery is an expression of affection and admiration by all of us at Embraer to everyone who made Azul such a great success." 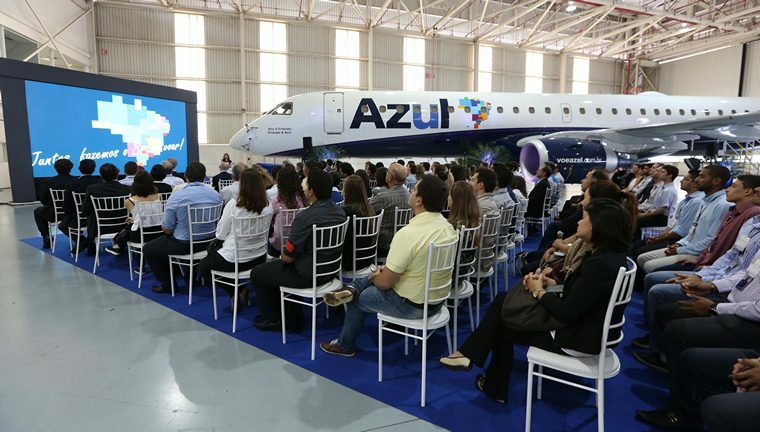 "This is a remarkable moment for Azul and Embraer. We are today the largest E195 operator in the world and we are proud of that. We transport thousands of Brazilians in a genuine Brazilian aircraft every day, always providing comfort and safety," said Antonoaldo Neves, President of Azul. "We truly believe that the decision to utilize Embraer products for the creation of Azul was key to the success of the Company. 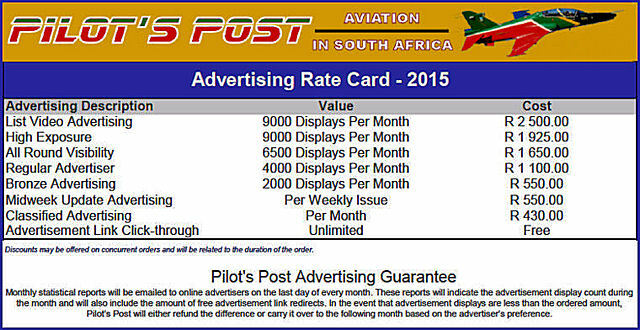 The E-Jets are recognized for reliability and flexibility." The first delivery of an E-Jet to Azul occurred in December 2008, making it the first Brazilian airline to operate an aircraft from this family of commercial jets. The initial agreement was for 36 firm orders: 31 E195 and five E190 jets. Today, the airline has a total of 88 E-Jets in operation. In May 2015, Embraer and Azul signed a purchase agreement for 50 E195-E2 jets, with 30 firm orders and 20 additional purchase rights. The first delivery is scheduled for the second quarter of 2020. Embraer is the only manufacturer to develop a modern family of four airplanes specifically targeted for the 70 to 130-seat segment. Since the formal launch of the program, in 1999, the E-Jets have redefined the traditional concept of regional aircraft to operate in other markets, flying with traditional airlines, low cost and regional as well as charter companies. The E-Jets family entered revenue service in 2004. Currently, E-Jets are flying with 70 airlines from 50 countries, holding a 60% market share, based on deliveries, in the segment of jets with capacity up to 130 seats.